ACHIEVE THE DEEPEST, RICHEST, MIRROR-LIKE SHINE WITH OUR PREMIUM WAX. THE DEEP GLOSS AND SHINE WILL LAST LONGER THAN TRADITIONAL WAXES AND WILL PROVIDE UNSURPASSED PAINT PROTECTION AND OUTSTANDING WATER BEADING. PROVIDES LONG LASTING GLOSS AND SHINE TO YOUR CAR. 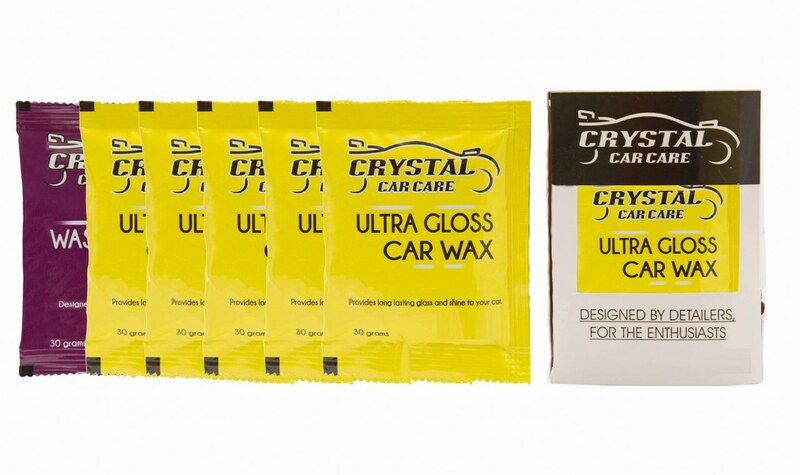 PACK CONTAINS 5 SACHETS OF ULTRA GLOSS WAX AND 1 SACHET OF CAR WASH & WAX SHAMPOO. APPLY WAX WITH AN APPLICATOR PAD, ONE SECTION AT A TIME. BUFF LIGHTLY WITH A CLEAN, DRY POLISHING CLOTH. 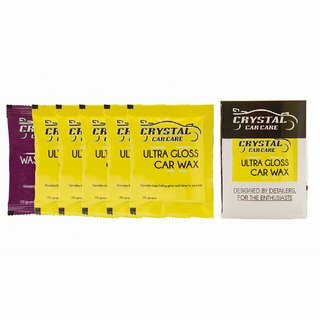 PRE WASH THE VEHICLE WITH CRYSTALS WASH SHAMPOO AND USE POLISHING CLOTH TO GIVE YOUR VEHICLE THE LOOK IT DESERVES.